As a member of the Pocket Casts team and an app developer who has been in the podcasting space since 2010 I have come to learn a lot about this industry. It started for me in a small bubble in the tech world, specifically on Twit.tv. Over the years though I’ve come to appreciate that podcasting is far bigger than tech, it’s also far bigger than me or the team behind Pocket Casts. 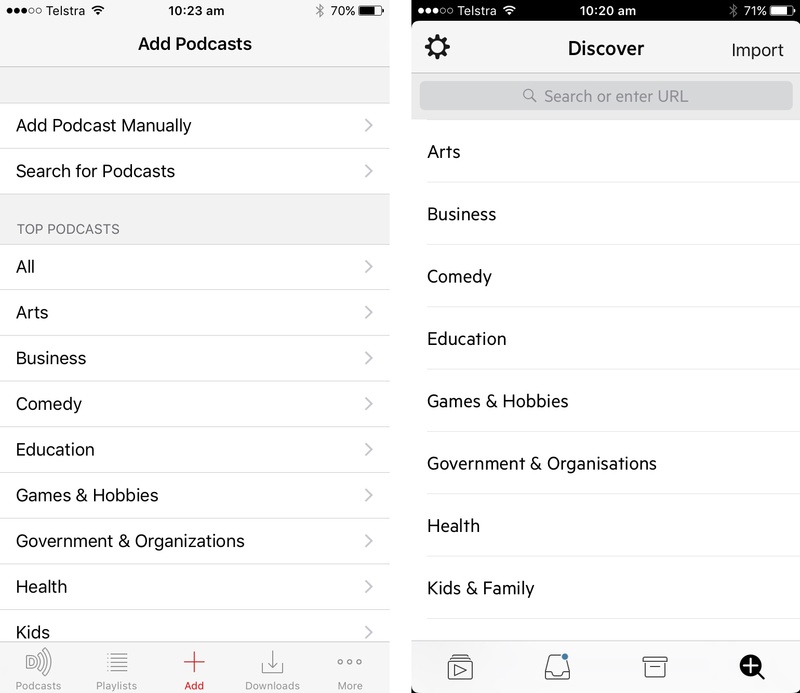 I see a lot of commentary on podcast apps being the new ‘UI playground’ and to some extent that’s definitely true. There are new podcasting apps released almost daily on iOS and Android, each with their own take on what a podcasting app should be. It’s amazing to see the variety out there, and the different ideas that developers have. There is however a but coming. A ‘but’ so big it needs a new paragraph. You see, what constitutes a ‘Discover’ section in an app seems to be neglected, almost universally in these apps. This is odd, considering the only reason a podcasting app exists is to play podcasts. Your app can’t exist just to show off your skills in building a User Interface. It can’t exist just for you to mess with technical doodads. Its very existence in fact depends on an immense catalogue of free content provided by podcast authors. 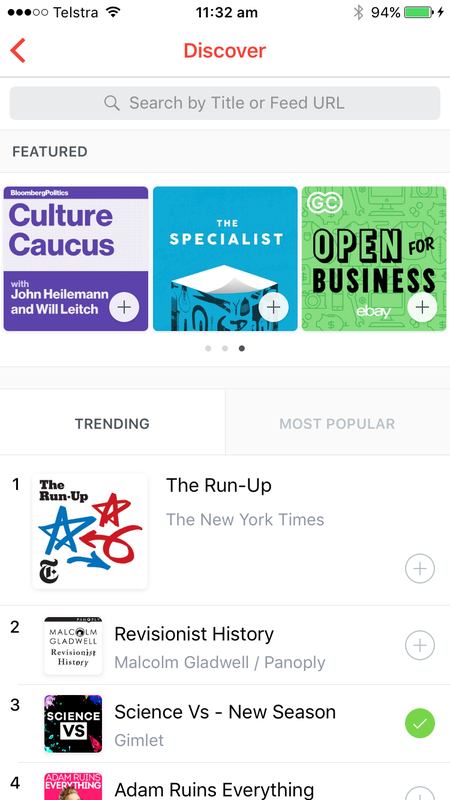 So surfacing that content, making it easier for authors to get noticed and grow their audience should be a key design consideration in each and every podcast app. This to me at least, should be a universal truth. Just a quick note here before we continue: my intention here is not to criticise individual developers of competing apps. I’m friends with quite a few authors of various apps and I consider them almost universally to be great people. That said I think we all can and should aim to do better on this front. Ok, disclaimer aside, let’s explores some interfaces. In both of these apps you can search. This is good for podcasts you already know about, or have heard the name of. Outside of that you can browse categories. If I’m being honest this isn’t great. How would I discover new podcasts whose categories I don’t know about ahead of time? It feels like a developers solution to a human problem. Now the authors of these apps may well say “well we see discovery happening outside of the app, Twitter, Facebook, etc”. That’s fine, but that discovery is going to happen whether you enable it or not. I feel like we owe podcast authors more than that. We have a slightly more visual representation and the top part appears to be things the user of the app are actively recommending. It’s still not great though, suffering from two fairly large problems. Firstly if all you’re surfacing is things people are already listening to, what hope do new podcasts have? Secondly the categories seem to be heavily related to the developer of the app, his friends, and things he likes. That’s not great for diversity and introduction of new voices and new podcasts. I say ‘ironically’ because I find the Apple Podcasts app somewhat hard to use and little bit buggy. The discovery section though is, I feel, second to none. It’s constantly refreshed with new shows. It’s bright and colourful. It features a variety of topics and voices (hint: try to spot the 2-3 white guys talking tech podcast on this page. It’s there, but it’s way down there). It doesn’t instantly force you into picking categories, it enables discovery. How is this achieved? I suspect mostly with human curation. An actual human being talks to podcast authors, listens to podcasts, curates lists. Probably more than one. Podcast authors are excited when they are featured in here. They constantly ask listeners to rate their podcasts in iTunes in the hopes of being noticed in this app. It makes a difference. This is what we’ve been trying to get closer to for the last few years in Pocket Casts. More human curation, more surfacing of diverse and new podcasts. The results of this experiment are very interesting. As of about 12 months ago, we now feature a new podcast twice a week. Every week thousands of people open our Discovery section to see what’s new. Of those people over 15,000 open the featured podcast to see what it’s about. What does this do for authors? The results are amazing: a feature for them results in getting anywhere from 1000 to 10,000 new subscribers in our app. 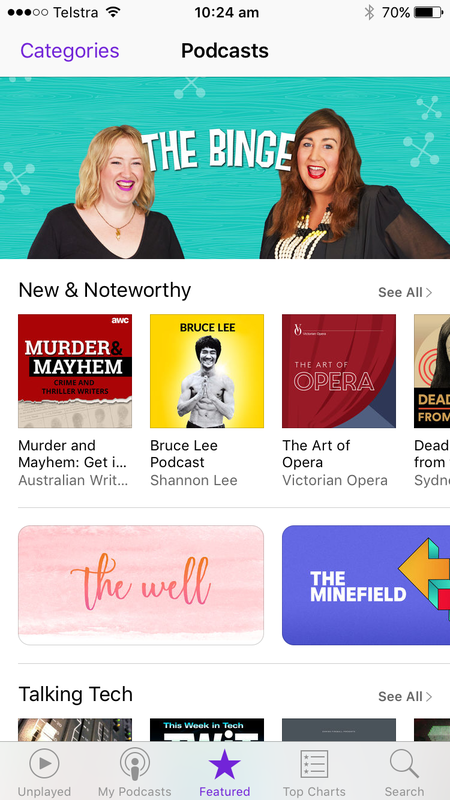 Some of those authors were destined to become big with or without us, but there have definitely been some proud moments where we literally put a new podcast on the map, finding it before anyone else and getting people to talk about it. How did we go about this? Well we put the same level of care and thought into podcast discovery and featuring that we did in the rest of the app. We also went one step further. If a good app requires great developers, then good curation requires a good curator. So we hired one, full time. We employ two developers, we employ a designer, so if we really, truly care about curation we should employ a curator as well. 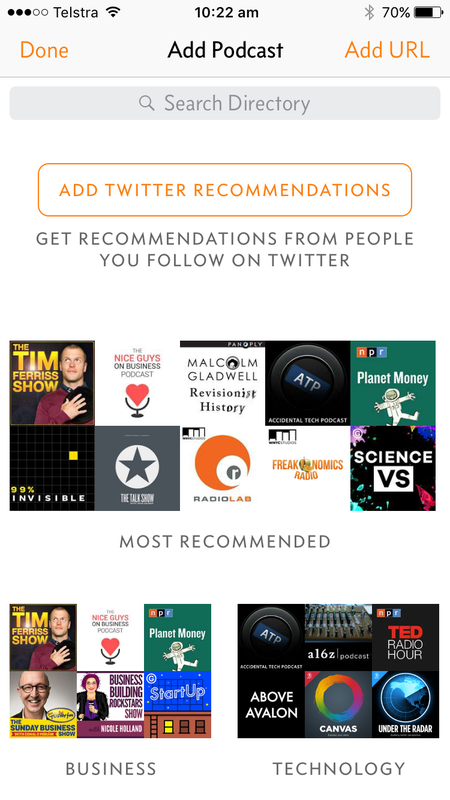 The result is that our discover section is vibrant, it’s alive, and most importantly we’re giving back to the podcasting community to which we owe so much of our success. I don’t want to praise us too much, I feel like we still have a long way to go and we have a lot of plans around discovery for the future. That said, If you’re building a new app in this space by all means consider the UI. By all means spend time on the technical aspects of the app, but consider spending equal or greater amounts of time on content discovery. Also be mindful of how your personal tastes in podcasting might be harmful in terms of growing the medium and getting more voices heard. It’s time for us as podcast app authors to do more than the next iteration of shiny app to wow customers with, it’s time for us to give back to the people we owe our livelihood to. Will your car always have wheels? If we agree it won’t, then why don’t we remove them now? This argument makes literally no sense. Neither the lightning port nor bluetooth are superior replacements for the standard headphone connector. Then again this is from the guy who brought us this unforgettable gem. What a revelation that digital touch on the Apple Watch turned out to be, bringing 16 year olds together the world over. I literally can’t wait for my Twitter stream to be filled with “What’s the big deal, just buy an adapter” tweets come September. Search Ads is an efficient and easy way for you to promote your app directly within the U.S. App Store search results, helping customers discover or reengage with your app, while respecting their privacy. Starting this summer, you’ll be able to participate in the Search Ads beta and see the ads in action. Awwww hell no. App Store search is broken enough, the last thing developers need is paid ads. This is pure and simple, a way for Apple to make more money and that’s ok, they are a business after all. The App Store search page must get a crazy amount of hits per day, why not make some money off that? It’s a perfectly reasonable move on Apple’s part, but Apple Press for the love of Zuul please let’s stop pretending that they are some kind of Shining White Knight of a company that eschews this sort of thing. There’s nothing good here for developers or customers, this is just Apple helping Apple. We’re opening auto-renewable subscriptions to all app categories including games, increasing developer revenue for eligible subscriptions after one year, providing greater pricing flexibility, and more. This on the other hand is a big improvement to subscriptions. The 70/30 split is dropping to 85/15 after one year of a subscriber being on your system and they are expanding the list of apps that can use subscriptions. The Internet is all abuzz with what this means for us lowly indie app developers, but honestly this seems more geared at things like Netflix & Sketch than it does to apps like Pocket Weather and Pocket Casts. My one fear is that desperate developers will jump on this and try to turn every app into a paid subscription. If that happens (and it’s a big if) it could easily lead to customer fatigue and all sorts of blowback. This will be something to keep an eye on for sure. Finally, Schiller says that the App Store has been speeding up app review times — to the point where 50 percent of submitted apps are now reviewed in 24 hours, and 90 percent are reviewed within 48 hours. Let’s end on a high note. This is a MASSIVE win for developers. I’m willing to ignore the fact that we took 8 years to get to this point just because it makes me so happy to see Apple publicly saying that these review times are here to stay. Just this week I submitted an update to Pocket Weather that was approved in about 16 hours. That’s game changing vs the 7 days+ we used to have to wait. My eternal gratitude to whoever solved this one, hopefully once and for all. Fellow Relay FM host Jason Snell wrote an interesting article comparing Google in the naughties to Microsoft in the 90s. He argues that much like Microsoft was in the 90s, Google is now pushing a design language that is common across platforms and that in contrast Apple isn’t (as evidenced by Apple Music on Android). While I agree with some of what Jason is saying, I feel as if he’s so dangerously close to an epiphany. I’d argue that all the big companies now have their own design languages that they push across all their platforms, and that Google is the only one to actually give it a name. Fits right in on Android. Totally. Yes readers there’s nothing the least bit iOS looking about that app. At all. 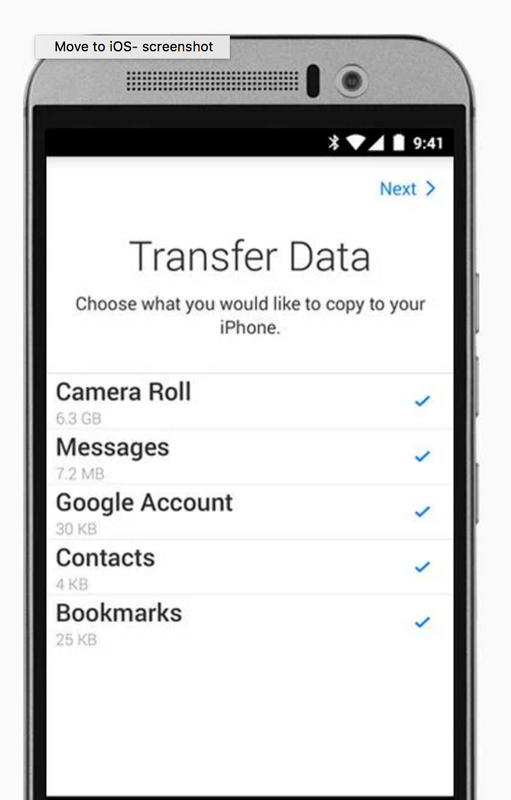 The truth is that Apple has a design language that they have chosen and they are applying it everywhere too. They haven’t named it ‘Apple Design’ or ‘TiLTOWB’ (Tiny Light Text On White Backgrounds) but it’s there, everywhere you look. Microsoft does the same, they have their ‘authentically digital’ design aesthetic that you see on Windows 10, Xbox, iOS and elsewhere. So yes, Google is trying to apply Material Design to all platforms, but so is every other big tech company out there. Apple does it. Microsoft does it. Spotify does it. Facebook does it. As to whether they actually should, or each company should develop a unique aesthetic for each platform, well that’s another debate entirely. If you’re a talented Web Developer, we’d like to hear from you. We’ve got places to go, and not enough developers to get there!